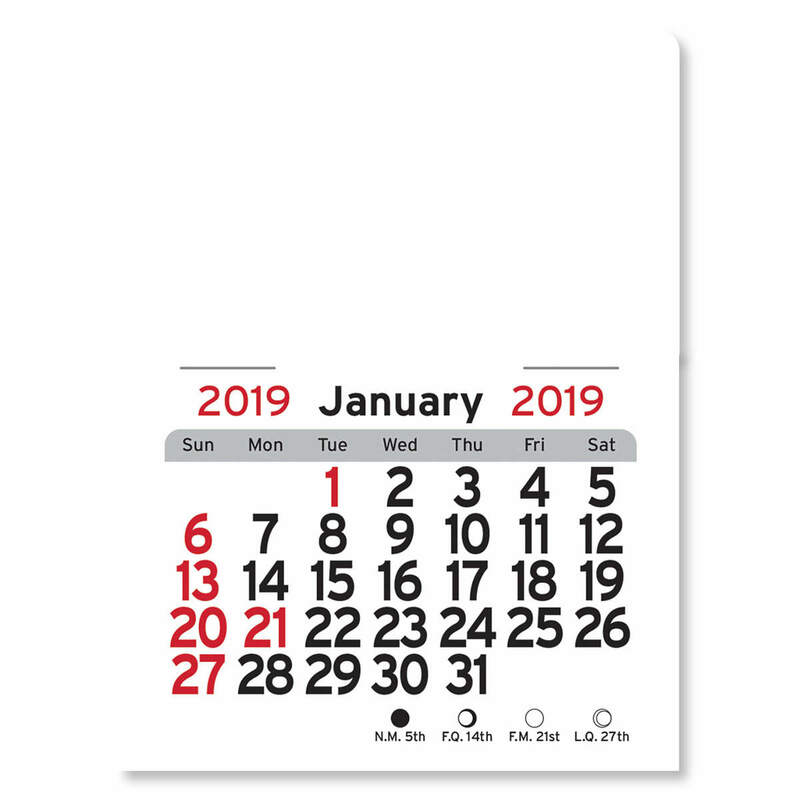 High quality vinyl, rectangle calendars make a great first impression and leave a lasting message. With 24 vibrant colors to choose from and a variety of imprint colors, they will make your logo stand out and be noticed. 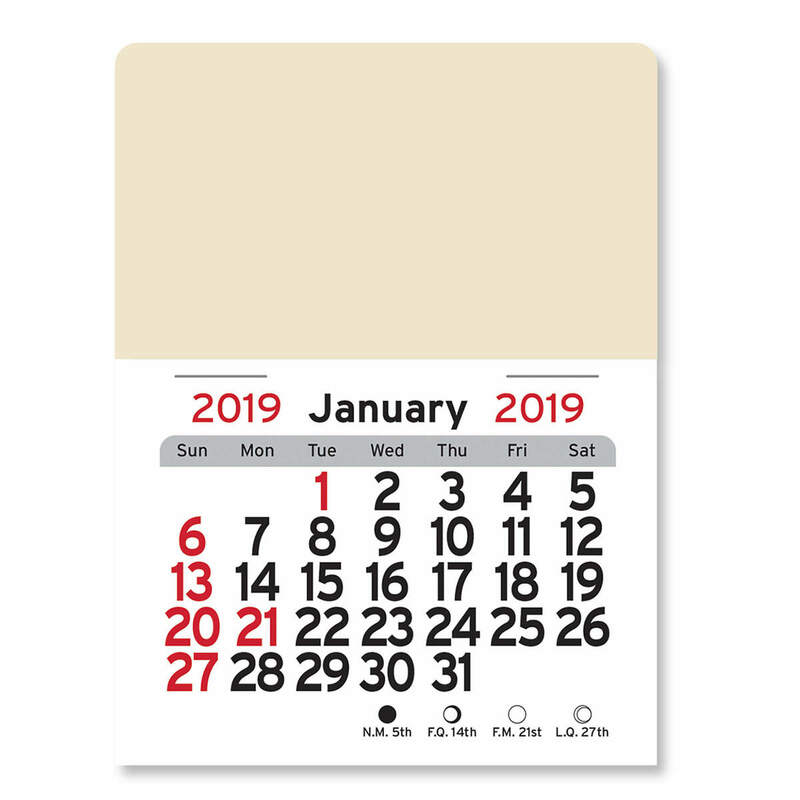 Build your own Peel-N-Stick calendar. 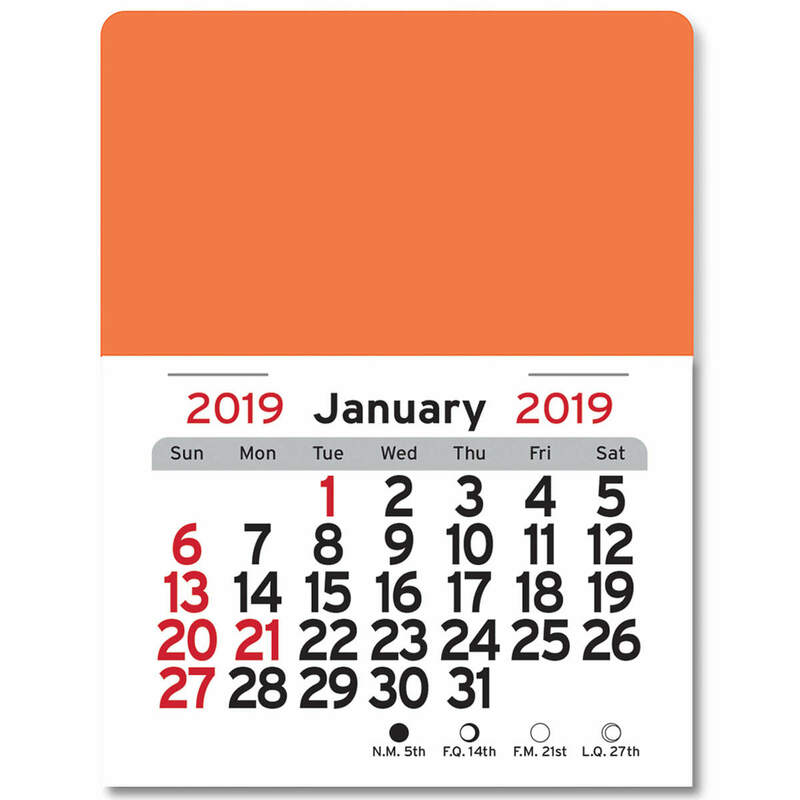 For pennies a day, your message will be seen 365 days a year on a calendar that can be placed anywhere. • Imprint area: 2-3/4" x 1-1/2"
• One FREE Display box with every order of Peel-N-Stick™ calendars! 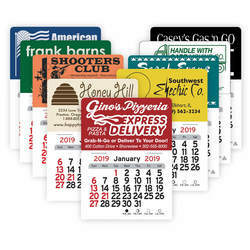 • 150 piece minimum per copy or vinyl color. 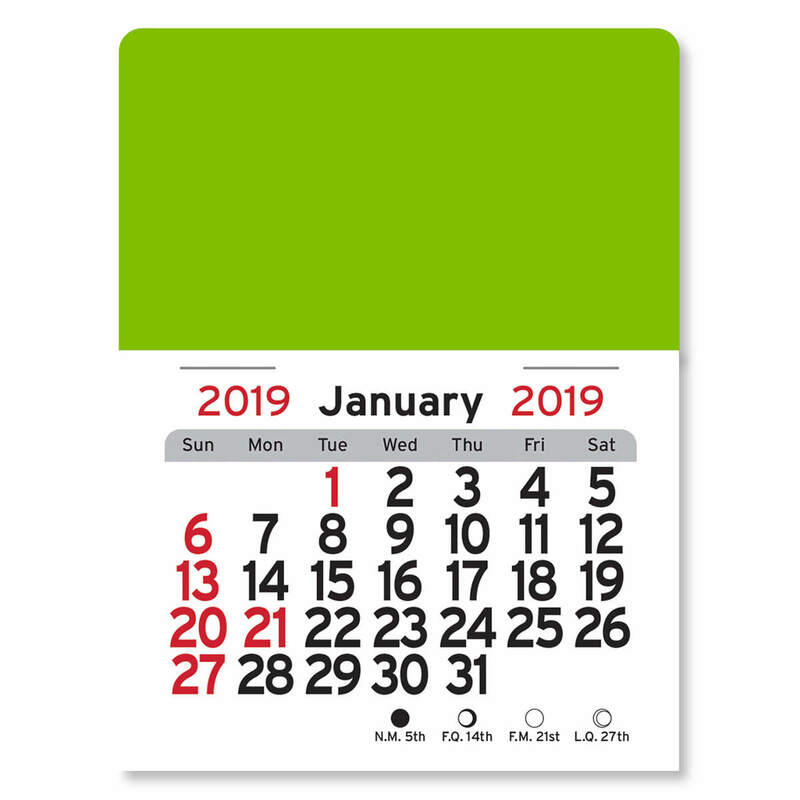 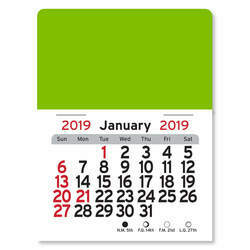 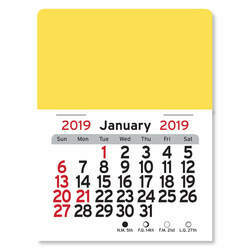 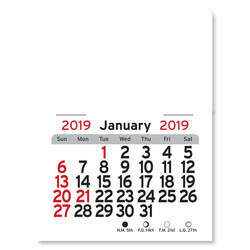 • Other calendar pads available. Contact factory for details and pricing.